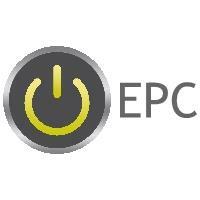 EPC Electrical Services - Electrician based in Newton-le-Willows, Merseyside. EPC Electrical services are electrical contractors based in Newton le Willows. EPC are a friendly reliable and trustworthy company who always strive to provide a professional no fuss service. Periodic Test and Inspection Technician. Portable Appliance Testing (PAT) and repairs. Fire Alarm Testing and repairs/installation. Fully qualified electrician and conversant with current IEE wiring regulations.